Found myself watching the Vlaanderens Mooiste rebroadcast yesterday. Holiday Brunch at the Mom-in-Law's ain't so bad. It's not as hot as it's rumored to be. 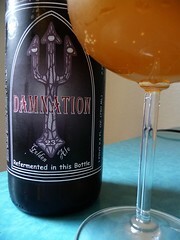 dam-na-tion, n 1. the act of damning. 2. the state of being condemned to eternal punishment in hell. Gotta wake up earlier next Sunday. Thanks for the vid! I was watching it on cyclingfans but missed Tornado Tom get punked on the Kapelmuur so I could have some Easter fun with the girls. I was however able to watch Cancellara time trial to the finish. 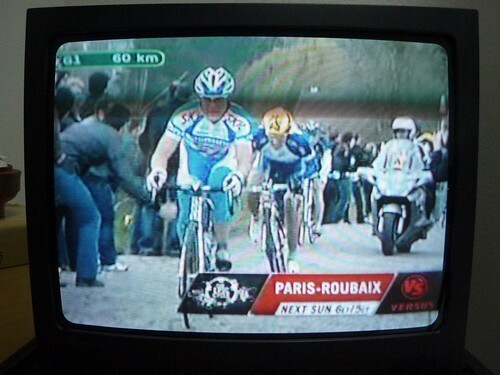 Next week I hope to be watching Paris-Roubaix in person. Oh HELL yeah!